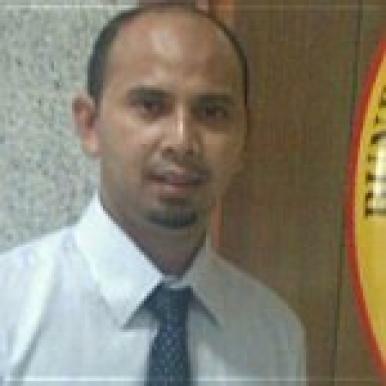 Muhammad Anshari is researcher and academic staff at School of Business & Economics. His professional experience started when he was IT Business Analyst at Astra International. Research Fellowship from The Government Republic of China (Taiwan) at National Taiwan University (Jan-Dec, 2014). Research Fellowship from King Saud University - the Kingdom of Saudi Arabia 2009. Details of research interests are as below. He received his BMIS (Hons) from International Islamic University Malaysia, his Master of IT (E-Business) from James Cook University Australia, and his PhD programme from Universiti Brunei Darussalam. Call for Chapter: The combined economies of ASEAN make it a major of economic power after EU, USA, China and Japan. The combined population of ASEAN creates the world's third largest market with more than 600 millions of people. There are potential readers that are waiting to find the comprehensive book to discuss about FinTech, especially in ASEAN's context. Smartphones usage in the classrooms: Learning aid or interference? 5. Edited Book, FinTech and Disruptive Innovation in ASEAN, IGI Global. 1. Big Data Era: Big Challenges for ASEAN Economic Community. International Conference on Asean Studies 2 (ICONAS 2), 3-5 August 2015. At Chulalongkorn University Bangkok Thailand. 2. Shifting Role of Customers from Recipient to Partner of Care in Healthcare Organization. The 13th ASEAN Graduate Business, Economic Program (AGBEP) Network, Yogykarta, April 2, 2013 at Gadjah Mada University. 3. Anshari, M., et.al. (2016). Smartphone habit and behaviour in Brunei: personalization, gender, and generation gap. Computers in Human Behaviour. Vol. 64 (2016) 719-727. DOI. http://dx.doi.org/10.1016/j.chb.2016.07.063. [Elsevier - Q1 Scopus in Computer Science]. 6. Alas, Y., Anshari, M., Sabtu, N.I., & Yunus, N.M., (2016). Second-Chance University Admission, the Theory of Planned Behaviour and Student Achievement. International Review of Education. Vol. 62 (3). P. 299 – 316. DOI: 10.1007/s11159-016-9558-5. [Springer –Q2 Scopus & ISI Indexed in Education & E-Learning]. 7. Huda, M., Anshari, M., Almunawar, M. N., Shahrill, M., Tan, A., Jaidin, J. H., Daud, S., & Masri, M. (2016). Innovative teaching in higher education: The big data approach. Turkish Online Journal of Educational Technology, November 2016, Special Issue for INTE 2016, 1210-1216. http://dx.doi.org/10.13140/RG.2.2.10543.53924. [Q2 Scopus]. 8. Anshari, M., & Alas, Y. (2015). Smartphones Habits, Necessities, and Big Data Challenges. Journal of High Technology Management Research. 26 (2): 177-185. Elsevier, DOI: 10.1016/j.hitech.2015.09.005. [Elsevier – Q2 Scopus in Management of Technology & Innovation]. 10. Almunawar, M.N., Anshari, M. & Younis, M. Z. & Kiza, A. (2015). Electronic Health Object: Transforming Static to Interactive and Extensible Healthcare Systems. Inquiry: The Journal of Healthcare Organization, Provision, & Financing. Vol. 52. DOI; 10.1177/0046958015618665. [SAGE - Q2 Scopus in Healthcare Management]. Faculty Block Grant, UBD. Ref. No. : UBD/RSCH/1.8/FICBF(b)/2018/003 Title: Business Models of Digital Marketplace in ASEAN. 1. Publish or Perish for Academicians, Universitas Islam Negeri Palembang, Indonesia, 2018. 2. Publish or Perish for Postgraduate Students, PPIBD , 2018. 3. ICT Index Readiness and ASEAN Economic Community, Invited by Universitas Islam Negeri Raden Fatah Palembang – Indonesia, Dec 2, 2016. 4. ICT ASEAN Index Readiness. International Seminar Arah Kebijakan Ekonomi di Era ASEAN Economic Community organized by Universitas Yudharta Pasuruan, May 2, 2016. 5. Crafting Strategies of Patient Empowerment in E-Health System: CRM 2.0. Research Sharing Session at Faculty of Computer and IT , Universiti Malaysia Pahang. 1. Digital marketplace & FinTech to support Agriculture Sustainability, Nagoya University Japan, 2018. 3. Big Data and Mobile Learning in Generating Pervasive Knowledge, International Conference on Information Management and Technology (ICIMTech), Yogyakarta, Indonesia, 2017, pp. 177-180. [IEEE Xplore - Scopus Indexed]. 4. Big Data in Business: Concept & Applications. International Conference on Business, Economics, & Finance. August 2017, At Universiti Brunei Darussalam. 6. Developing Pervasive Online Learning Resources: Case Mobile Learning, NIDA International Conference, Bangkok 6-7 August 2015, Bangkok – Thailand. DOI: 10.13140/RG.2.1.1261.1286. 7. Modeling patient empowerment in healthcare organization through cloud computing. Proceedings of the International Conference on Electronic Business (ICEB), 2014-January, pp. 173-180. (Scopus). 8. Empowered Customers in E-Health Business Process. PhD Colloquium, Faculty of Business, Economics and Policy Studies - Universiti Brunei Darussalam, June 5-6, 2012. 9. Building Healthcare – Patient Relationship with CRM 2.0 - Lesson Learnt from Prita Mulyasari’s Case. International Seminar “Green Technology, Social Work and Public Health for Development of Indonesia. Ramada D’MA Hotel, Bangkok, 28-29 October 2011, p.75-79. 10. Evaluating CRM Implementation in Healthcare Organization. Proceedings of 2011 International Conference on Economics and Business Information. IPEDR vol.9 p.30-34, IACSIT Press, Bangkok, Thailand. 11. Health Information Systems (HIS): Concept and Technology. Proceedings of International Conference on Informatics for Development 26 – 28 November 2011, Yogyakarta, Indonesia, p.10-15.